A survey asked 500 Uber and Lyft drivers to pinpoint their top reasons for giving a rider a low rating. Try these tips to be a better passenger. Thanks to smartphone technology and the evolution of the ride-sharing economy, it has never been so easy to get a lift. It's incredibly convenient and simple, but having had my fair share of rides in the back seat, I've racked up quite a few harmless but unfavorable tales. Sometimes the driver is exhaustively chatty, or, on the other extreme, seems so disengaged I wonder if he's even going the right way. Sometimes the car stinks or is in bad condition. I could go on with my unpleasant anecdotes but after looking at a new survey from Driving-Tests.org, I'm finding that my vexations as a passenger pale in comparison to the rude (if not downright despicable) behaviors that drivers face from clients. 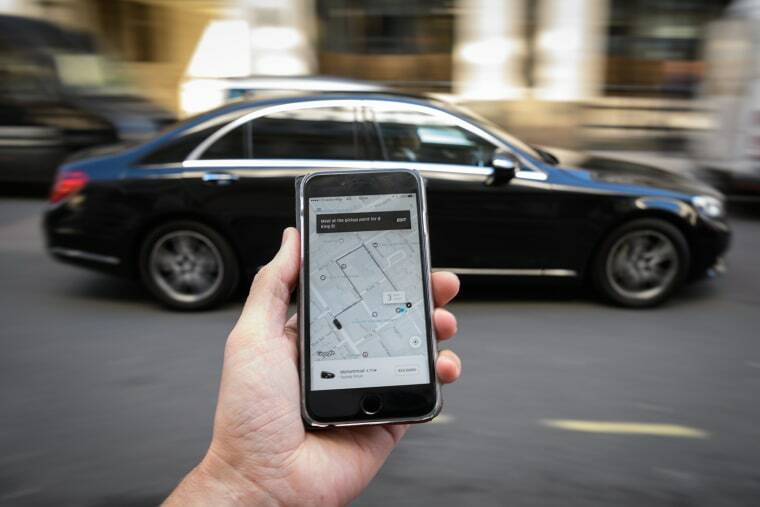 The survey, which polled nearly 500 current or former ride-sharing drivers to pinpoint their top reasons for giving a rider a low star rating, found that people are doing some pretty awful stuff while en route to their destinations. Topping the list of worst passenger offenses are vomiting in the vehicle followed by smoking, not showing up, engaging in sexual activity, spilling food or drinks and exceeding available seating. Psychologists say rudeness is a virus. Here's the antidote. This is an important takeaway and one that illuminates that not only does outlandishly uncivil actions (like vomiting) rightly irritate drivers to the point of giving passengers a low-star rating, so do the seemingly less obnoxious behaviors. In addition to being jilted by passengers, drivers also said they give low ratings when clients are “backseat drivers”, eat without asking first, slam the door and ask personal questions about their lives. As a passenger I’ve been guilty of some of these ostensibly lesser misdemeanors. I’ve slammed doors when in a hurry. I’ve scarfed down a granola bar without even thinking to ask if that’s alright with the driver. I’ve even been bossy about what routes to take, especially when I’m in my own neighborhood and think I know it all. No wonder my Lyft rating hovers just below 5 stars. Reflecting on this, I’ve come to wonder is it about the Uber/Lyft environment (or even the on demand gig world at large) that enables us to behave unprofessionally, and how we may all become better passengers. Jacquelyn Youst, president of the Pennsylvania Academy of Protocol, an organization that teaches social skills and etiquette, suggests that to an extent we’ve become spoiled by this ultra-convenient technology where we literally have the world at our fingertips. The app itself may play an unintentional role in that it tends to dehumanize the whole process. The driver is no more than a name, a microscopic pic, a car model and a license plate. And the car looks like something out of a video game when you watch it in the app, crawling closer to you down the cartoonish little streets. And we have to respect that, even if it means doing what seems absurd: pausing and remembering each and every time we book a ride that this is real life, this is someone’s job, and we, as their clients have the obligation of etiquette. Though the onus to be a respectful passenger is on the passenger, drivers can help instill an air of professionalism and courtesy. Badly behaved passengers may still light up in the car, or puke or slam the door, or whatever else, but at least you’ll know your etiquette game was strong, and more likely than not this will pay off. Make eye contact with the driver, smile, thank him or her and confirm that the driver has the correct address. Ask before eating or drinking in the car to ensure that this is permitted by the driver. Remember that this is someone’s actual car. Respect his/her property as you would expect someone to respect your property. Thank the driver when you arrive at your destination. And of course, don’t forget to tip and leave five stars if you’re experience is satisfactory. You'll probably get five stars back in return.